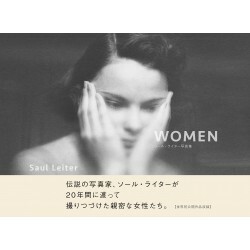 Saul Leiter (1923, Pittsburgh - 2013, New York, USA), is a contemporary American photographer. He is considered one of the pioneers of color photography. 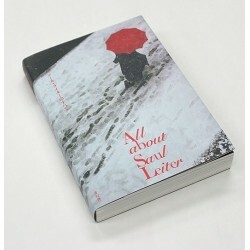 Son of a Rabbi, Saul Leiter discovers art at the public library. He studies painting before taking an interest in photography. He made his first photographs in the early 1940s in the streets of New York. This work was shown at the Museum of Modern Art in New York in 1953 and 1957. 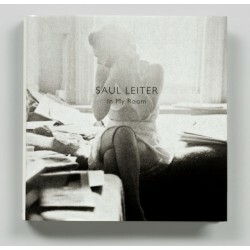 Based in New York, he earned his living until the mid-1980s through his career as a fashion photographer. He works for Harper's Bazaar magazine. He will only become famous late in the 1990s. 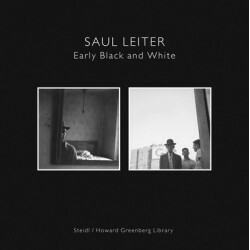 Saul Leiter was one of the pioneers of contemporary color photography at a time when only black and white was worthy of interest. Il est considéré pour l'essentiel de son travail comme un photographe des rues de New York. Son but n'est pas d'illustrer la vie citadine, mais de rechercher les instants et les scènes fugaces. Il travaille des cadrages originaux en utilisant des vides (noirs) dans ses images. La succession des plans y superpose différentes histoires génératrices de mystère. He is considered for the most part his work as a photographer of the streets of New York. Its purpose is not to illustrate city life, but to look for moments and fleeting scenes. He works with original framing, using empty (black) spaces in his images. The succession of plans superimposes different stories generating mystery. 2006 In Living Color : Photographs by Saul Leiter, texte de Lisa Hostetler, Milwaukee Art Museum, Exhibition Gallery Guide, 2006.